Twist cylinder cap to desired dosage. 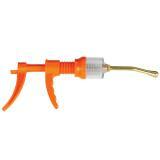 To fill, compress handles and insert the nozzle into container and release the handle. 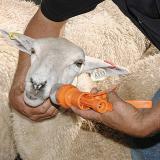 An oral suspension (drench) for use in sheep, cattle & goats. Popular for treating liver flukes and tapeworms in select species. Absolutely wonderful product! 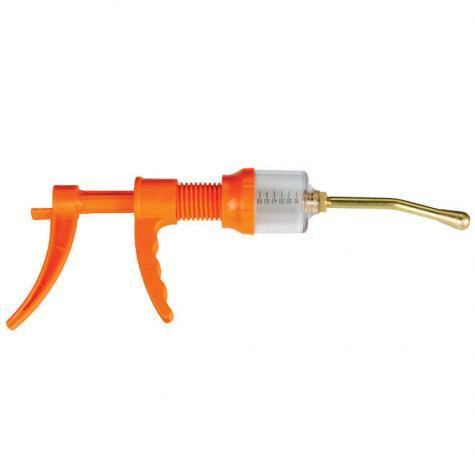 It holds twice as much as the other manual drenchers and can be filled using one hand. It also seems to be made of durable materials.